These pillows from Kimberbell are too cute! They are 8" square or 9"x5". All designs can be stitched out in a 5x7 hoop. 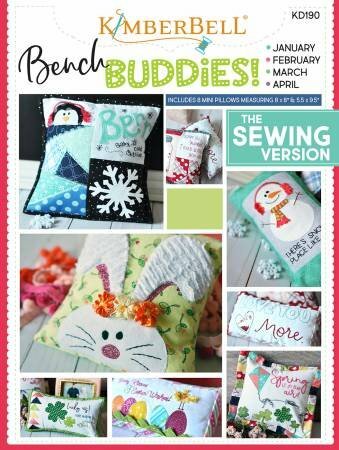 The embroidery pattern has a pillow for each month Jan. thru April. The class is an all day class and we will do one pillow at least, two if possible. We will have pillow forms available. The class fee is $57.00, includes the designs and the day with Mary.